A theme is the layout, style, visual elements and overall look of your blog. And sometimes finding the right theme is the biggest barrier. GoldLine Light elegantly enhances the core feature of WordPress & emphasizes on different types of content - posts, videos, images, quotes, links, etc. to give it a fresh look and feel. Grab this elegant WordPress blog theme absolutely FREE! 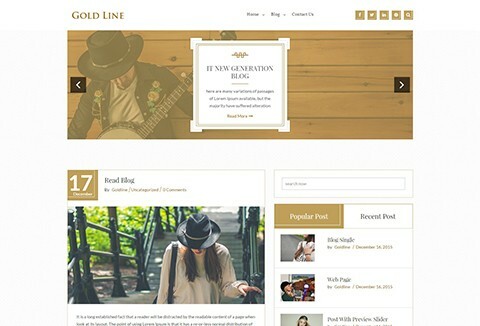 Grab Goldline Light - A free WordPress blog theme today! If you need more features, lots of new components & free updates, get the Pro Version of this fantastic WordPress theme!